BAQUBA, Jun 2 (IPS) - The real number of the dead is far higher than even the highest declared in death tolls, many Iraqis say. 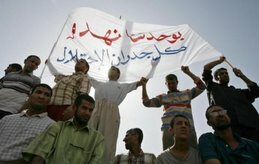 A study by doctors from the Johns Hopkins School of Health in conjunction with Iraqi doctors from al-Mustanceriya University in Baghdad, published in the British medical journal The Lancet in October 2006, estimated the number of excess deaths as a result of the occupation at above 655,000. Just Foreign Policy, an independent organisation "dedicated to reforming U.S. foreign policy" offered an updated total of 1,213,716 at the time of this writing. On Sep. 14, 2007, Opinion Research Business (ORB), an independent polling agency located in London, produced a figure of 1,220,580 deaths as a result of the invasion. These estimates are above any official figures from Iraq, but they do consider the reported official figures. Iraqis believe that the authorities are hiding these figures. "The U.S. military benefits from hiding the real totals," said a political analyst who declined to give his name because of the atmosphere of fear within Iraq. "And the Iraqi government is a puppet of the Americans, so their figures are ridiculously low as well." The report published in The Lancet did not take into account many circumstances of death, say residents in Baquba, capital of Diyala province 40km north of capital Baghdad. "All people know that a large number of bodies are dropped into the Diyala river," said a local resident. "I was kidnapped and taken to a village called Huwaider, which is completely Shia and located on the Diyala River. 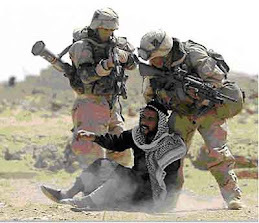 Sunnis there are killed and dropped in the river by militiamen, but I was freed by the U.S Army. "People in all the villages on the river have gotten used to seeing bodies floating in the river," he added. "I lived in Gatoon district, the volatile stronghold of the militants in Baquba," Yasir al-Azawi, a 37-year-old truck driver told IPS. "Everyday I saw vehicles dropping bodies in the river. Everyone in my district knows this truth; that the river contained an extraordinary number of bodies to the extent that living in that place became impossible. We left our home and moved to live in the north of Iraq." An officer at the directorate-general of police for Diyala province said the number of dead is impossible to calculate exactly. "When the new security plan began in Diyala, some of the arrested militants confessed that they were burying bodies," the officer said. "Some of them led us to the places where they buried the bodies. We found hundreds by digging in the areas that are a stronghold of the militants, and sometimes in the gardens of the houses they were living in, or in a place nearby." An eyewitness at the Baquba morgue spoke with IPS on condition of anonymity. "I was looking for my relative who was kidnapped and then killed, and I saw an ambulance moving the dead who were killed by militants," he said, "I asked the driver about these bodies. 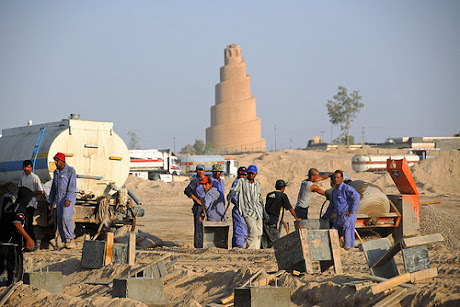 He said that the Iraqi army found them in houses and in holes dug within the houses. I also saw a skeleton among the bodies." Many believe that the number of the dead is higher than these studies reflect also because the lack of access to areas controlled by militias and other fighters prevents police and army personnel from finding and collecting bodies. "These militia strongholds have prevented access to police for over two years now," Ali Hussein, a local vegetable seller told IPS. "Dozens, and sometimes hundreds were kidnapped everyday and taken to the militants strongholds. People heard nothing about thousands of them. Even today, thousands of families know nothing about their loved ones because they were not found in the morgue." A policeman, speaking on condition of anonymity, told IPS that "we were moving the bodies from the main streets of the city through patrols. A body that may have been dropped in the street is a message for people. They dropped it purposely. But these are only a few; the bodies of most we believe were killed, were never found." "The morgue continues to receive bodies brought by the police or the ambulance," said an employee at the Baquba morgue. "We used to receive many daily. The capacity of the morgue was not enough, so they were buried after certain procedures like taking photos or waiting for the families to ask about them and to take them. 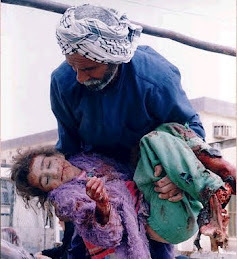 Sometimes, at times of bombing and disastrous accidents, we were receiving hundreds of bodies." Other officials also offered bleak assessments. "Hundreds of families come to the provincial office everyday to ask about their loved ones who were kidnapped; they do not know whether they are dead or alive," an employee at the governor's office told IPS. 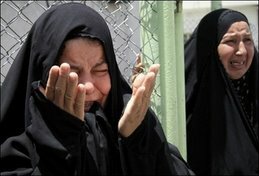 "Often the Iraqi army finds records of the dead from the militants through their confessions. Every week there are new lists of names of those who were killed by the militants. People come to find out whether their loved ones are dead, in order to stop searching." New burial grounds are found often, and the dead are usually not recorded. Many residents told IPS that farmers commonly find bones in their fields.